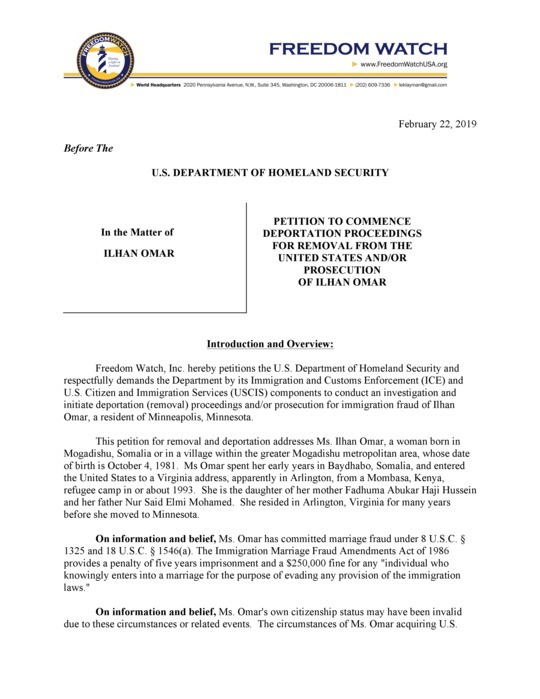 Klayman: See Also Petition Embedded Below for DHS to Recommend Prosecution and Then to Deport Rep. Ilhan Omar! U.S. Rep. Ilhan Omar, D-Minn., will soon learn the conclusions of an investigation into allegations that she violated campaign spending laws during her time as a state lawmaker -- including accusations that she used campaign money to pay for her divorce attorney and personal travel. 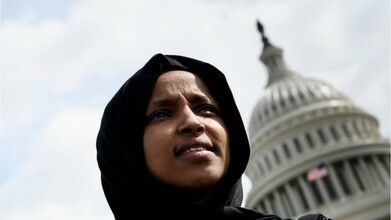 The culmination of the state probe is just the latest potential controversy for Omar, an embattled freshman in Congress who has repeatedly faced criticism for comments about Israel and U.S. foreign policy.